Let the games begin! Katniss Everdeen, portrayed by Academy-Award Winner, Jennifer Lawrence, and our favorite “tributes” are back in The Hunger Games: Mockingjay-Part 1, this year’s installment of the best-selling trilogy by Suzanne Collins. At the conclusion of 2013’s The Hunger Games: Catching Fire, a distraught Katniss learns of the capture of her fellow contestant, Peeta Mellark, portrayed by Josh Hutcherson, and the destruction of her hometown, District 12. 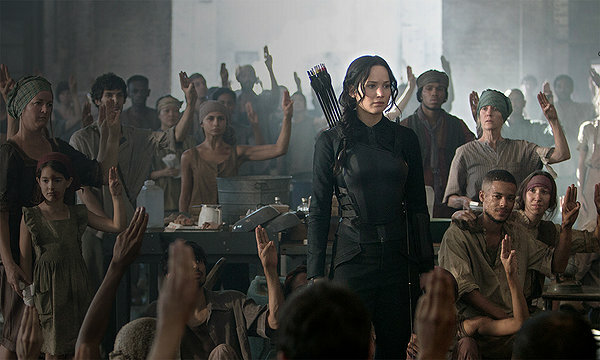 Now, in the newest addition to the franchise, Ms. Everdeen finds herself in District 13, home of the new rebellion. But when she finds out that Peeta is being used as a pawn by the government to quell the populist uprising, we will see if the conflicted protagonist will be up to the task of being the long prophesized “Mockingjay,” and the hope of her nation’s people. Rejoining the cast are Liam Hemsworth as Gale Hawthorne, the best friend of Katniss and resident of District 12; Woody Harrelson as Haymitch Abernathy, the alcoholic mentor, who in his youth won the titular games for District 12; Elizabeth Banks as Effie Trinket, the ditzy chaperone and publicity representative for District 12; Stanly Tucci as Caesar Flickerman, the Master of Ceremonies and commentator on the Hunger Games; Donald Sutherland as President Coriolanus, the totalitarian leader of the Capital and all of Panem; and the late Philip Seymour Hoffman as Plutarch Heavensbee, the new Head Gamekeeper and high-ranking member of the resistance. It was reported that the actor had completed all of his scenes prior to his unfortunate death on February 2, 2014. Julianne Moore will also be joining the cast as Alma Coin, president of District 13 and leader of the resistance. According to the recent film clips, it is safe to expect more of the same sword wielding, arrow shooting, fire blazing, love triangles, and Nazi iconography, all of which have helped to define this dystopian adaptation and create this universe that we have all come to know and love. 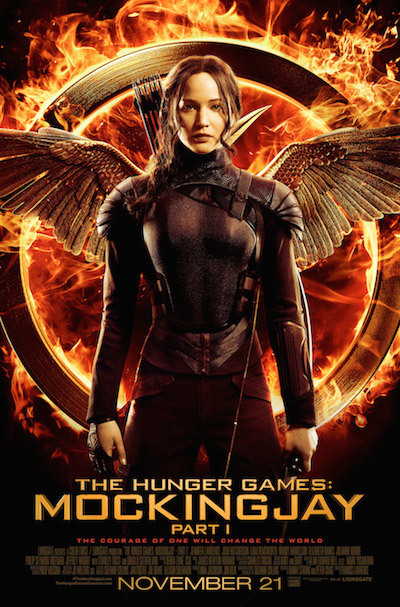 The Hunger Games: Mockingjay-Part 1 is directed by Francis Lawrence and distributed by Lionsgate Films. It is slated to hit theaters nation-wide on November 21, 2014. Until then, see the teaser trailer for the film below. TAYLOR SWIFT RELEASES PREVIEW OF NEW SINGLE "WELCOME TO NEW YORK"